Happy November Friends! The second day of home decor trends continues with wall decor and because it is Tuesday a bit of Typography thrown in for fun! Black and White photography was a big trend through out the show. This Charlie Waite scene literally drew me right in and had me daydreaming of more serene days! 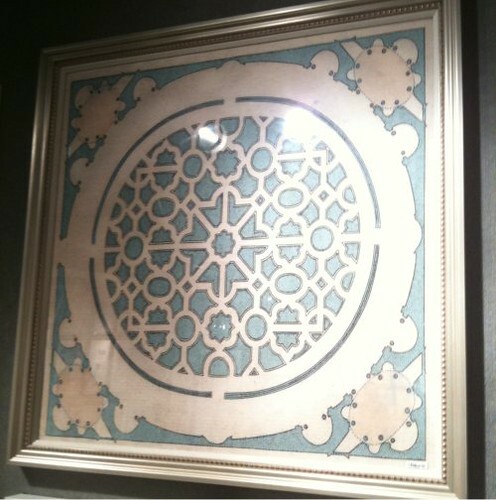 The Trowbridge Gallery had both these prints above. 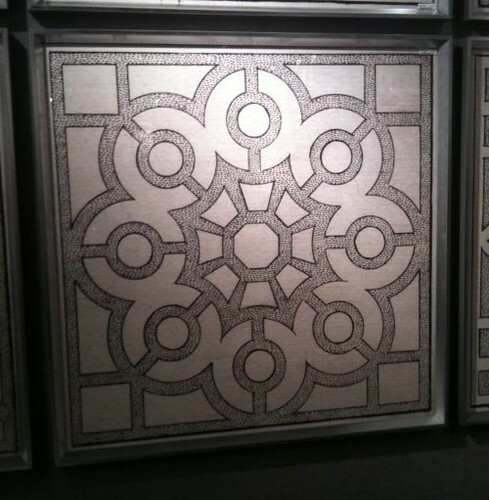 The reproductions were so beautiful and all over the show we saw them in both color and black and white. I asked the lovely Olivia (aka @swaygrl) what she saw as a wall decor trend at High Point and this is what she had to say. 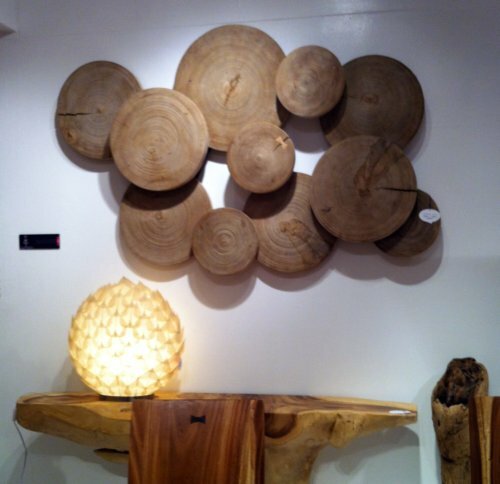 "The Phillips Co. showroom displayed natural wood used simply as wall art! Gorgeous, patterns that nature has provided brings in a warmth to a room, that might otherwise feel too sterile and cold." 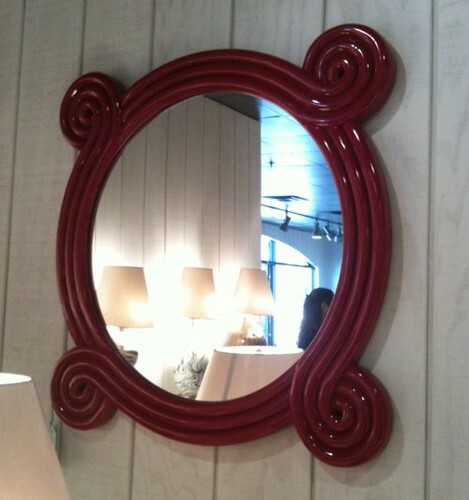 Bunny Williams and her BeeLine Home woke us all up with this gorgeous red lacquered "Ohm" mirror! Seriously a fabulous piece! Expect to see more colored frames and mirrors over the next year. 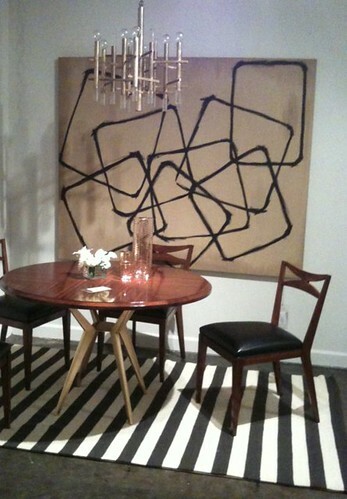 Oversized artwork as seen in the Dwell Studio showroom was a big trend! 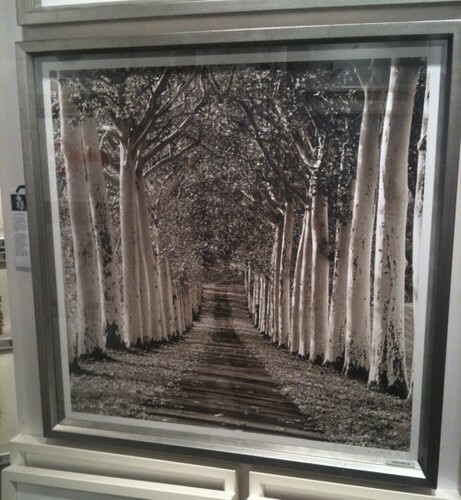 Whether a photograph or a simple image of geometric shapes, oversized art work is here to stay! Hickory Chair Co filled my desire for typography with this enormous print leaning up against a wall. Did you miss yesterday's post on the Upholstery Trends? Hop on over here. Tomorrow we will focus on the casegood side of market and let me tell you, the pieces are incredible! I even found a new to me company that I am just in love with! See you tomorrow. Thanks for sharing so many photos from High Point! Wish I could have gone to see it all in person. 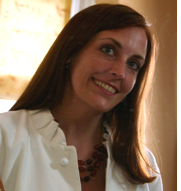 Great to see the Market through your eyes! 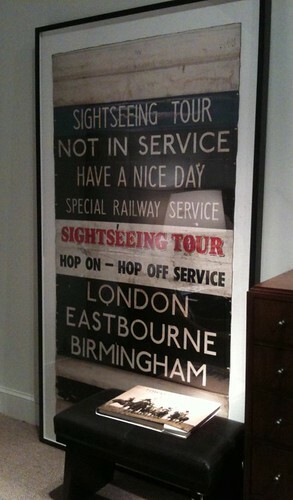 And we also love your typography find -- though they all look like great finds!